While it’s certainly possible to go about your daily life with missing teeth, having gaps can present challenges when it comes to eating, as well as fully participating in conversations and social activities. 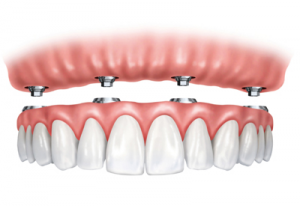 Durable and attractive, full or partial dentures can go a long way toward bridging these gaps. Our high-quality yet affordable dentures can improve both your smile and your future! What Are Dentures Good For? Dentures aren’t just a solution for missing teeth: they can also be the route to take for chipped, cracked or broken teeth. When you come in to review your options, Dr. Olson will sit down during a careful consultation to determine the best course of action for you, and you can leave feeling confident that you have been given all the information to make the right choice. One way or another, a full set of teeth makes a big difference in people’s lives, and we will find a way to connect you with that ideal. If that means creating a set of custom dentures for your mouth, we will dial in on which type will work best and get to work. 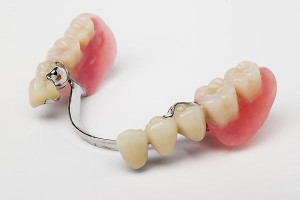 If you already have full or partial dentures and they need to be relined or repaired, we alsoprovide these services and can address any other problems that have cropped up as well. Dentures begin with a custom-fitted acrylic base molded either to the roof of your mouth or around the bottom teeth in a semicircle. Replacement teeth fit into the base to complete your smile. These teeth are also shaped with custom attention so you can rest assured they will fit the size, shape, and appearance of the rest of your teeth. If oral surgery or removal of a damaged tooth is necessary, we will wait for it to heal to complete and then place the dentures. Immediate emergency dentures are also available in many cases, should they be necessary. It may take a week or two to get used to the feel of dentures, but then you will be accustomed to eating and speaking with them in! In many cases, your dentures will be covered or mostly covered by your insurance policy. We work with many insurers to optimize your out-of-pocket cost. 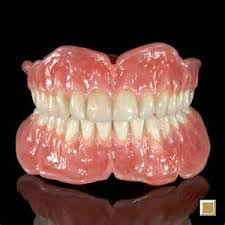 If your dentures are fitted properly the first time, they will last for years to come. Compared to dental implants, which can cost upward of $5,000, the total cost of dentures is usually a fraction of that amount. The service area for Skyline Dentistry includes Brigham City, Willard, Tremonton, and surrounding cities. Schedule your appointment today by calling (435) 723-8913.